Your Weekly Mixed Playlist - Dirty Disco n' Deep-house in Dirty Disco 293. After last weeks music podcast 292 episode filled with dreamy & atmospheric Deep-house. I’m back at you with a classic Dirty Disco episode. Once again your new weekly mixed playlist is here filled with dope Nu Disco, Deep-house, House music and electronic music related tracks. After 293 music podcast episodes we can proudly say that Dirty Disco is your weekly mixed playlist filled with inspirational music. Wether you are a music lover, a DJ or any other kind of music professional. Our weekly mixed playlist helps people from all over the world to find new music and discover new artists and producers. With this Dirty Disco is able to be a platform for the electronic music industry where producers, labels, publishers can get recognized by real lovers of their music. Electronic music everywhere for everybody. Everybody who listens to me (Kono Vidovic) and my weekly mixed playlist approaches this from another angle. Some of you are DJ’s or music professionals like myself. And others are lovers of electronic music. The music scene has evolved and so it’s audience. Where older generations in the past claimed that this ‘computer music’ wont’ stand a chance and would stay here with us. It’s now a lifestyle. Electronic music is a part of our lives and spread it’s tentacles everywhere. Electronic music is now much wider than it used to be. Even though when we talk about electronic dance music we mean House and Deep House. Even popular music is a part of this as big DJ names have taken over the charts for many years now and even hip-hop or pop music producers are making electronic music. Therefor electronic music is much wider and goes beyond that small scene back in the 80’s and 90’s. With that said, we must never forget where dance music came from. Music platform to promote and inspire with good music. With our weekly mixed playlist we try to inspire DJ’s & music lovers with new music. We promote producers DJ’s and labels to give them the exposure they deserve as they put a lot of hard work in theirs music and releases. The music industry is a though one, not only to get recognized but also to give recognition as the industry is in many ways cutting itself in it’s fingers. If you like what we do, and if you love our weekly mixed playlist in every Dirty Disco episode. You can contribute to our cause inspiring more people with good music. Just share our website and links to our pages / podcast on your social channels. If you have a website or blog yourself and you would love to post a write-up on Dirty Disco. That would even be better. Just get in touch and see how we can collaborate on something. Now enough about our mission and how we try to push music in our weekly mixed playlist filled with dope music. Let’s get on with what’s up in this weeks mixed music playlist. Dirty Disco 293 – A journey that never stops. At least i hope so. Sometimes it’s hard to run things on this side. Since it takes a lot of time to create a new show. And the expenses are not making things better as we don’t have an revenue model. We live from love for the music and do this with donations and motivation. So if you can contribute in anyway, the scene would be very grateful. This weeks podcast is a mix mash of various styles like we mostly have in our shows. Last week was a bit of an exception where we played a lot of atmospheric deep-house. With every episode that’s different, sometimes we play more disco influenced house or even disco influenced deep-house as i would refer to that specific sound as deep disco house. And other times it’s more disco or house music focused. This weeks music selection and mixed playlist. This weeks mixed playlist is well balanced as i begin with a few very dope disco classic edits by Superprince on his Mama EP released on the Universal Cave Records imprint. The very good remix by Buzz Compass on Ascension is a must have Disco House groover, and i will highlight this one here below as i really love it. After Buzz the disco train keeps going with a dope track by Rude & Mean – Moments In Soul. Slowly but steady that disco groove turns-over into a more sophisticated house sound with Chris Fry – Barrie which is coming from the House Cookin’ Show compilation. But still brings that soulful groove to us with a strong 4 to the floor beat. Slowly but steady the deep-house comes in and gives you our Dirty Disco experience with this weekly mixed playlist. Right here below i will highlight and feature some of the EP’s and albums that i play in this weeks music selection. Buzz Compass – Don’t Never – InEx007. I had to do some digging in our podcast archives to find the episode where we had Buzz Compass as our guest-DJ. In episode 133, which is way back for us. This was the second time we invited Buzz to do a DJ guest-mix. Since it’s so long ago and Buzz really made some dope releases since then i might be a good time to re-invite him for another mix session. Andrey if you read this and are interested in a mix session with Dirty Disco. Hit me up! 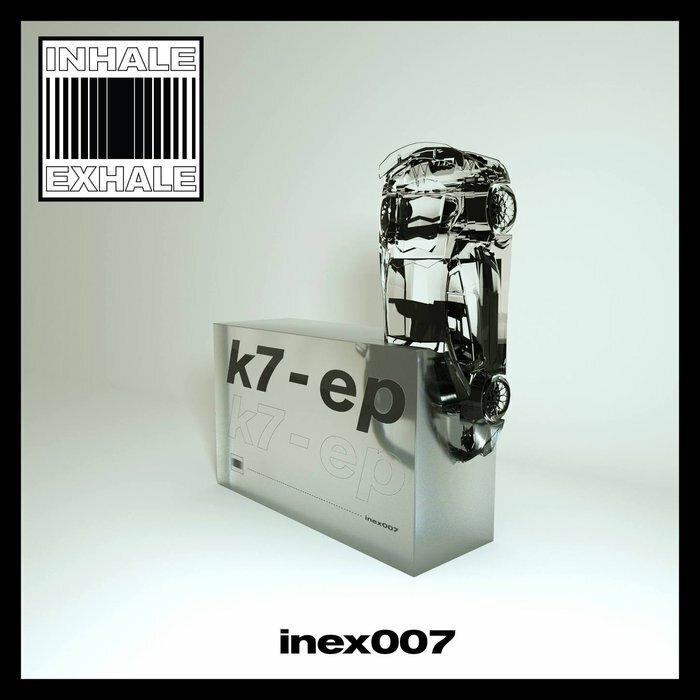 We came across the new various artist album compilation on the Inhale Exhale record label, titled InEx007. There we found a few dope tracks for instance the track Here To Stay by Gloved Hands which we really like. But also a production by Buzz Compass – Don’t Never surprised me with it’s appearance on the album sampler. As soon as i pressed play to listen to the track in my selection process a got goosebumps. The first reason is because i really like the original soul r&b track by Maxwell – Ascension. From time to time i really like to play this track in my soul sets or while I’m listening to music. The next reason is that Buzz did a good job remixing this track to a groovy soulful house track. All important elements as the vocals, the saxophone and grooving bassline are left untouched and used in a very nice way in the remix. The last thing i want to mention about this album compilation is the fun fact of it being available on cassette. Looks like cassette is on it’s way back. Recently i have been witnessing more labels releasing music on cassette in stead of vinyl. I even dedicated a full episode to it and discussed if cassette is coming back? This release is available on cassette so if you still have a player. You might want to check it out right here on the Inhale Exhale Bandcamp page. The Roundup Part V – Heist Recordings. I’m really more than happy to be on the promo-list of the Dutch imprint Heist Recordings who is run by the very talented and successful producers duo Detroit Swindle. I play a lot music from Heist Recordings in the Dirty Disco selections. The main reason is that they release really good EP’s and tracks from talented artists. Just like Heist we like to give these talents a platform to expose their music to the world and reach real electronic music lovers. Best tracks from last year remixed. Every year Heist Recordings publishes their Roundup selection, and this time they are here with The Roundup Part V. The Roundup is a special selection where they highlight and present the best tracks from last year on their label but in a new jacket. Which means that they ask to a few of the producers that they have been working with last year to do a remix on one of the best tracks they have been releasing last year. This results in a very dope album compilation with various artists remixing each other. With already dope tracks even better after these producers made their version / remix of it. Because we really love The Roundup Part V, 4 tracks from the available 6 on the album made it up in our weekly music selection in episode 293. The remix by Pitto who gave the track from Adryiano – Me And You And Her his ‘Groove your body treatment’. Is included in our mix session. Alma Negra – This Is The Place (Hugo Mari Remix) is also included in our selection and def a must-have tracks. Right after this one we mixed in the Detroit Swindle remix on Hugo Mari’s – Change Ur Ways. Which is a real dance-floor bomb. Last but definitely not the least is Pitto – You Treat Me Like A Fool (Kassian Remix). 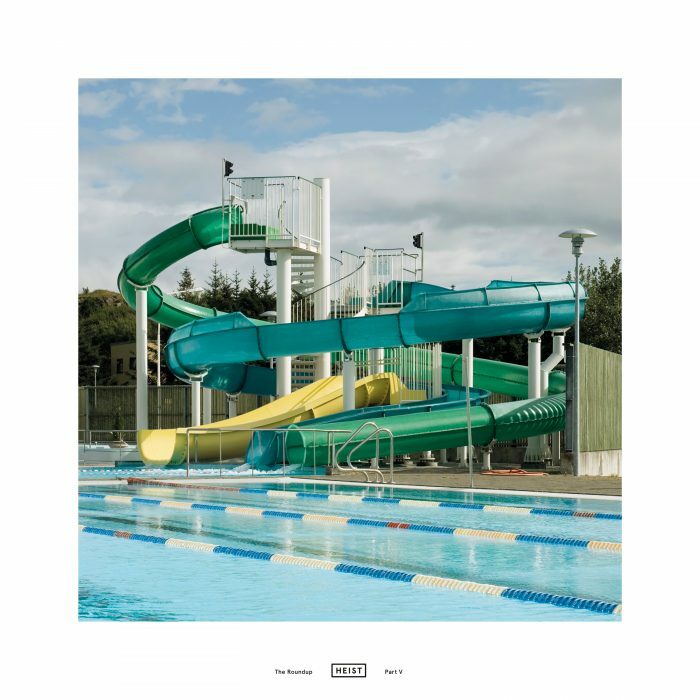 Kassian did a real good job on this already very dope track by Pitto. If you listen to Dirty Disco frequently you know that both producers are often played in our weekly mixed playlist. The whole sampler with 6 tracks is available as a limited 180gr 2x 12 inch vinyl sampler with full cover. The release date is set for the 8th of February for the vinyl release. And the 11th for the digital release of the compilation. The best way to support the artists and the label is to buy it directly from the Detroit Swindle shop. Armless Kid – Choices EP. I can continue forever with highlighting and featuring new music on my website. Since i also need to eat and sleep and rave to my weekly mixed playlist selection. 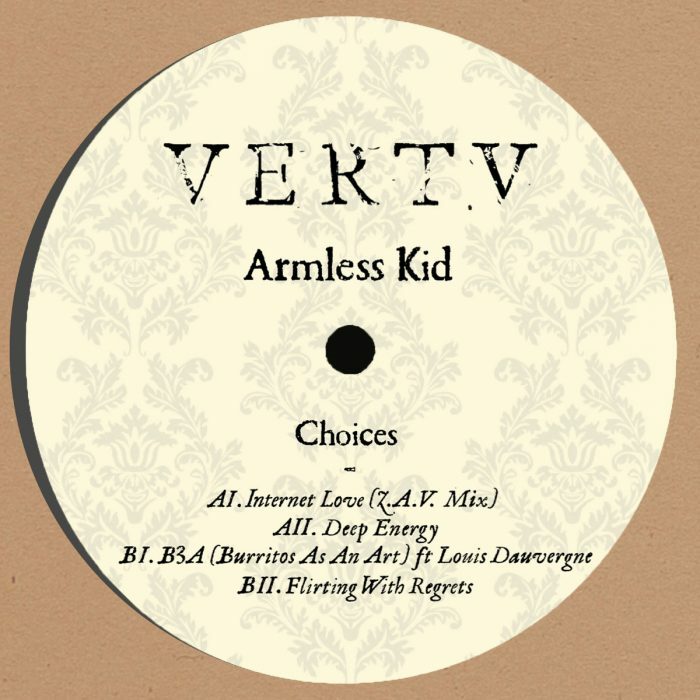 I stop after this new release by Armless Kid – Choices EP on VERTV Records. This one is a bit deeper sounded than the other two mentioned releases. If you love deep-house that is influenced by jazzy and soulful vibes even much as breaks, beats and tech. This is a must-have for you. Armless Kid does a great job with his new Choices EP, which includes 4 very dope tracks. Our love goes out to ‘Deep Energy’ Which is a track that combines a dope break-beat with a 4 to the floor house beat. A superb arrangement makes all of this possible and the vocals and organs stabs make it a real break deep house groove. Grab the limited edition release right here before it gets sold out. That’s about it! All there is left for now is the play-list which can be found just here below. Use it as you please to find inspiration for new music and to support the artists.